Dr. Jun Huangpu, Chairman of the Board for the Main Line Chinese Culture Center (MLCCC), was interviewed by Comcast Newsmakers on Jan. 25, 2013. He described the programs MLCCC has been conducting in order to share Chinese culture with the Greater Philadelphia region - such as MLCCC's Chinese Weekend School, summer camps, after school programs, cultural festivals, and in-school presentations. 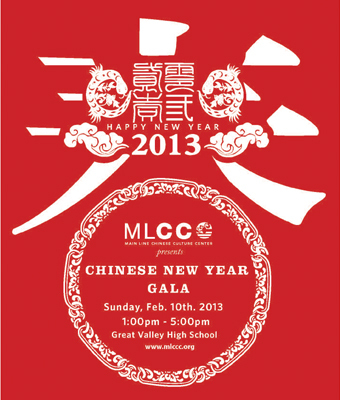 On Feb. 10, 2013, MLCCC will host its annual free Chinese New Year Community Gala with a show and a culture fair.